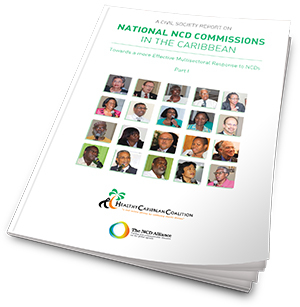 This report provides a detailed assessment and analysis of the status of CARICOM National NCD Commissions and makes recommendations for their future structure and roles as key instruments of national coordinated multisectoral action, based on varying country contexts and realities. The report represents civil society’s contribution to strengthening the multisectoral approach and will be used by the HCC to advocate for, and support National NCD Commissions in CARICOM and beyond. The recommendation for the establishment of a National Multisectoral Committee to oversee the development or strengthening of national policies, plans and programme was first mooted in the Non-Communicable Disease Prevention and Control Strategic Plan for the Caribbean Region 2003- 2007. …strongly encourage the establishment of National Commissions on NCDs or analogous bodies to plan and coordinate the comprehensive prevention and control of chronic NCDs. Download the executive summary here or the full report here. 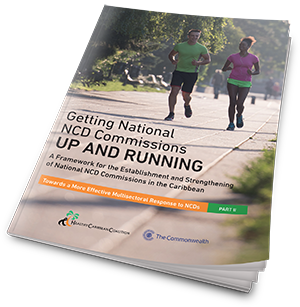 Part 2: Getting National NCD Commissions Up and Running – a Framework for the Establishment and Strengthening of National NCD Commissions in the Caribbean can be found here. 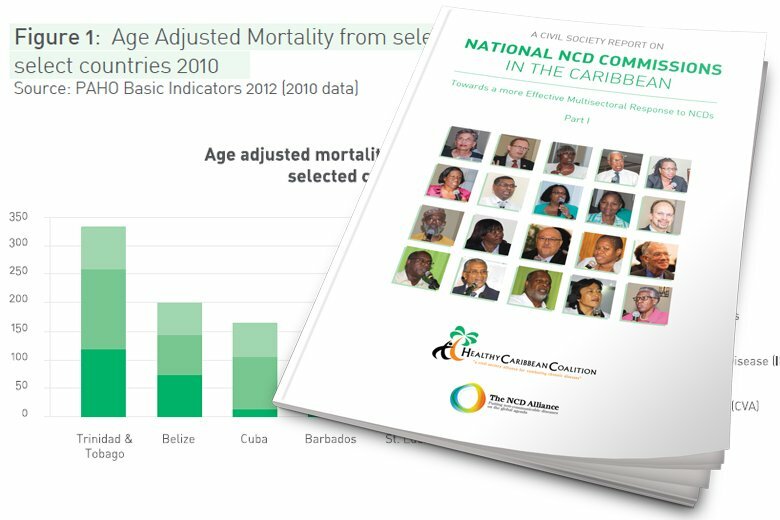 This report provides a detailed assessment of the status of National NCD Commissions in CARICOM Member States (MS) and provides practical guidance for the establishment and strengthening of NNCDCs (or their equivalents) based on the experiences of past and existing Commissions in the region, as presented in Part I. This report was funded by the Commonwealth Secretariat as part of the The NCD Commissions Strengthening Project (NCDCSP).